"The ladies at Gold Star Finance are very helpful and friendly. They each deserve their own Gold Stars." Harlingen is located in Cameron County in the heart of the Rio Grande Valley of south Texas, about 30 miles from the coast of the Gulf of Mexico. The city covers more than 34 square miles, and is the second largest city in Cameron County and the sixth largest in the Rio Grande Valley. It is also the city with the least expensive cost of living in the United States. 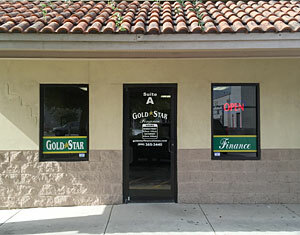 Gold Star Finance is proud to serve the Harlingen area from our new office on W Tyler.